ISLAS SAN BENITO, BAJA CALIFORNIA NORTE, MEXICO lie in the Pacific Ocean off the west coast of the Mexican state of Baja California, 15-1/2 miles west of Cedros Island. They are part of the Cedros Island delegación, a subdivision of Ensenada (municipality), Baja California. 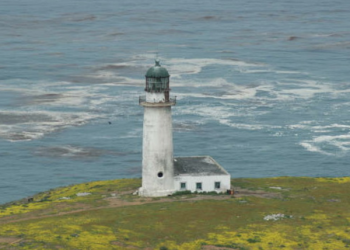 The group consists of three islands, with a total area of 1-1/2 square miles, and is surrounded by rocks and patches of kelp. 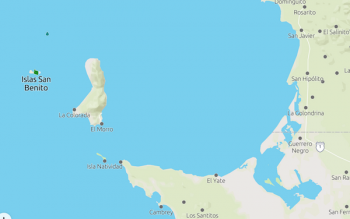 The census of 2001 recorded a population of two on Benito del Oeste (West Benito); the other islands (Middle Benito and East Benito) are uninhabited.
" A sea otter was killed at San Benito Island, one of the last known in Lower California. This page was last edited on 2 March 2019, at 12:58.